Superdry men's applique New House long sleeve t-shirt. 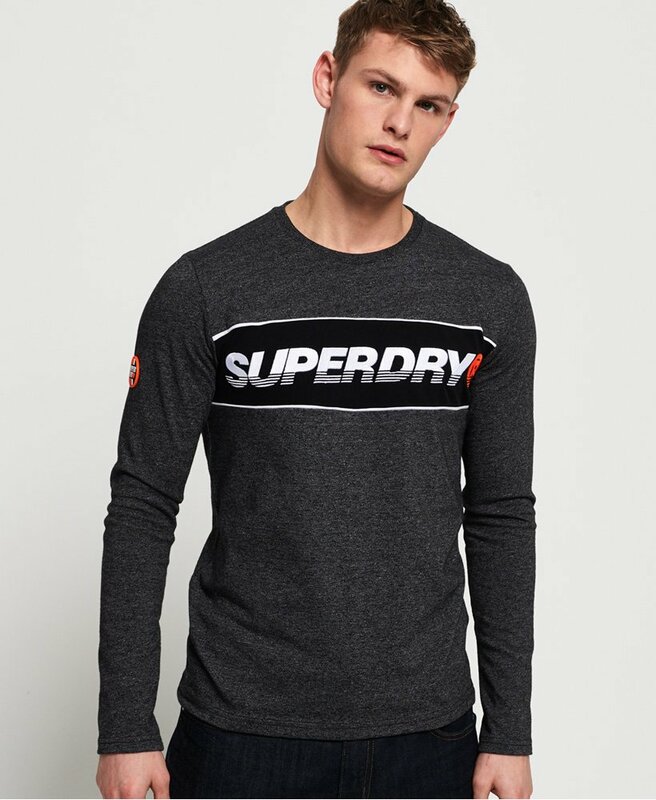 This long sleeve t-shirt features a crew neckline, panelled design across the chest with an embroidered Superdry logo. Finished with a rubberised Superdry logo badge on one sleeve.